The minute we enter a room, our eyes usually take in and scan anything that’s within our eye level, including what is usually the four corners of a room. However, there is a fifth element in a room that is usually taken for granted. Look up and see a room’s oft-forgotten element, the ceiling. As much as it is important to wisely choose the final paint color for your walls, the significance of using the right kind, color, and texture for your ceiling cannot be underestimated. 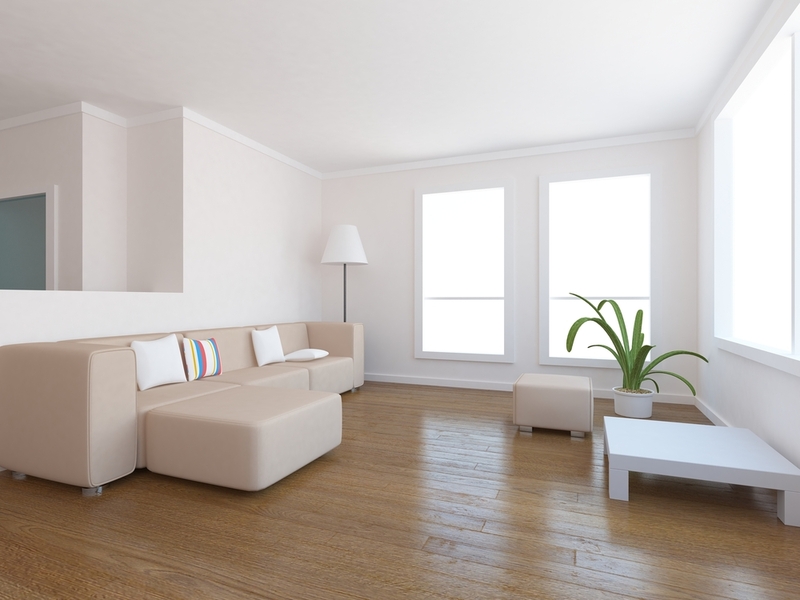 As a general rule, the ceiling color will affect the overall mood of a room. 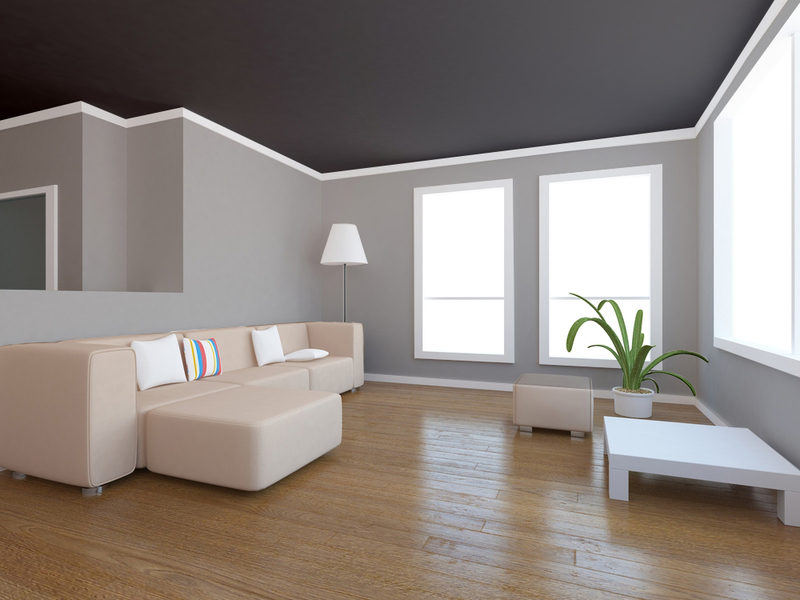 A dark-colored ceiling may make a room smaller, but it can also create intimacy. A light-colored ceiling will allow for more illusion of space and airiness, but may make an already huge house with high ceilings seem cold and distant. There are several shades you can choose from for your ceiling’s color, depending on the ambience you want to achieve. Here’s a quick guide on how to play around with your ceiling paint. A dark-colored ceiling will always give a semblance of coziness and intimacy. This is especially helpful if the room has a very high ceiling, because the dark tone will “bring down” the ceiling and make the room feel less impersonal. A good candidate for this ceiling treatment are rooms used for cooling down or relaxing, such as the bedroom, music room, the library, or even the hubby’s man-cave. This same treatment is also often used to create more drama to any room. One approach would be to give the room a monochromatic treatment, where the walls and the ceiling are painted the same hue. It would be safer to paint the ceiling a few shades lighter than the color used on the walls, as the ceiling tends to usually look darker than the walls. Not only will this approach give the room more character, it will also lend a more theatrical vibe. Another advantage of a dark-colored ceiling is that you can get away with having a sparsely decorated room and your guests won’t even notice, since their eyes will tend to focus on the dramatic visual above them, which of course takes away the pressure of having to fill-up the room space with additional home furnishings and accessories. The opposite treatment of a light-colored paint on the ceiling is also true. 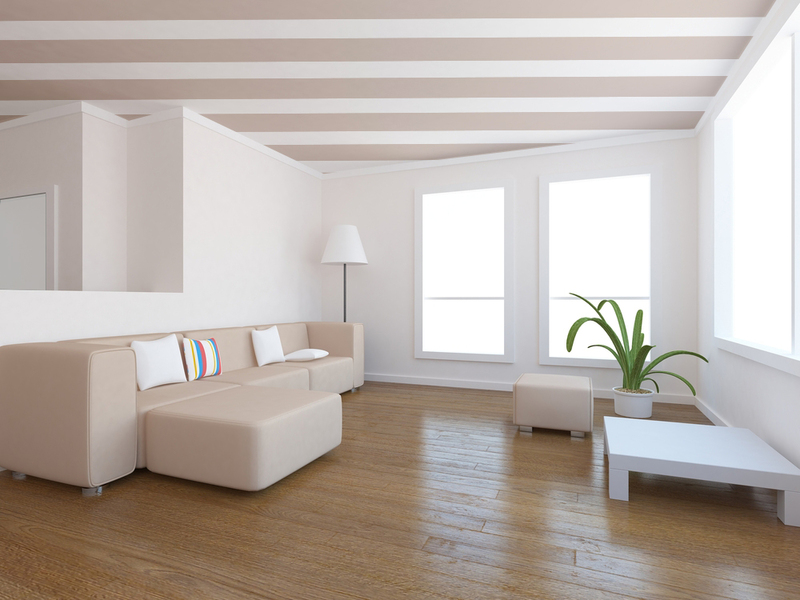 An effective way to create more space in an otherwise cramped room, is to paint the ceiling with a light color. This will immediately give an airy and cool vibe. A tip: the lesser the contrast of your ceilings from your walls, the more effective the space-adding illusion will be. 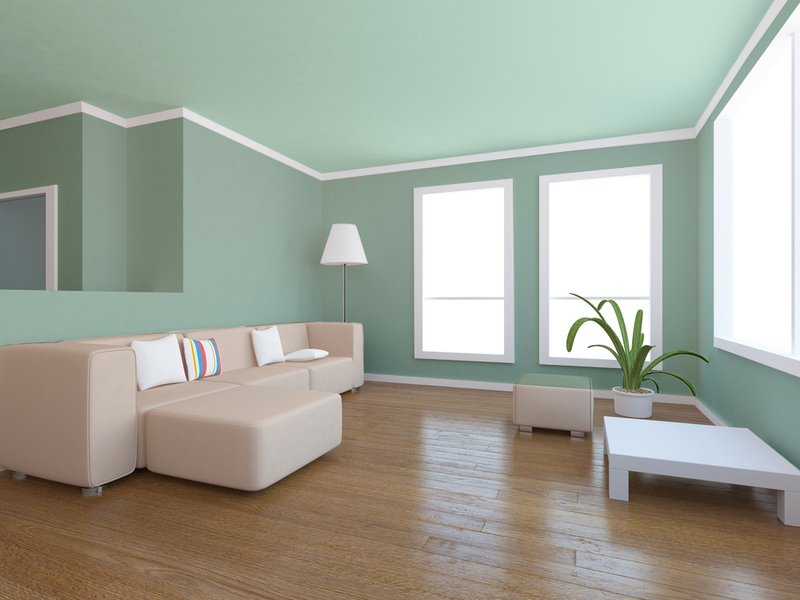 So if you want to paint your walls green, don’t make your walls too dark a green so that a light green ceiling would not create a contrast to your walls, but rather complement or harmonize it. This one is a no-brainer. White is always safe, practical, and no fuss. If you tend to be conservative, cautious, and traditional, then by all means paint your ceiling with white or off-whites. This classic will never get outdated. However, the lighter the color used for the ceiling is, the easier it is to spot the surface’s flaw. A glossy paint finish will tend to magnify the ceiling’s unevenness, if any, so it would be a wise decision to use a flat-or semi-gloss white to hide or mask any surface imperfection. Going for a personalized ceiling is when you can truly muster the courage to be the king or queen of your castle. Personalization is when you go out of your comfort zone and proceed to stamp your ceiling with your unique kind of painting style, be it a specific pattern, a textured paint, or even a mural. Go ahead and try it! There is always Pinterest to go to for endless ideas. Read more about personalized walls. Choosing a paint color is always a matter of taste. The challenge is to create some harmony and balance in your choice of colors so that each room will be able to give off the ambience and feel that you want it to exude.